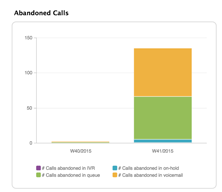 Filter and drill into historical call data to measure operational efficiency and identify areas for improvement with custom reports in Insights. Note: If you upgraded to Talk Professional or Enterprise from another Talk plan, keep in mind that data will be available only from the date your purchased the upgraded plan and forward. 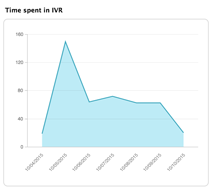 You can also build your own custom reports with Zendesk Talk data. For a complete list of Zendesk Talk data objects, see Insights metrics reference and Insights object reference. For general information on creating custom reports, see Creating custom reports and dashboards in Insights. 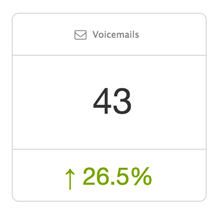 Is it possible to pull the phone number friendly names into Insights so we're not filtering by 20 random phone numbers without names? This is data that we're currently not pushing so unfortunately it's not a non-trivial update for us to make to surface this within Insights. However it is an update that we want to make, for the exact reasons you're mentioning, but I'm unable to provide a timeline for it at the moment. Thanks for the feedback, seems like we're on the same page at least! 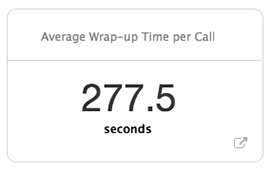 I would love some advice on how I could go about reporting on average hold time, but only on calls where hold is used at least once(similar to the talk dashboard)? Hey Dylan! I'm looking into whether this is a data point that exists in Insights. Sit tight! Currently we don't store the data on how many times the hold button was used. Instead we base the data off of the total time a customer is placed on hold. Let me know if this would work for you! 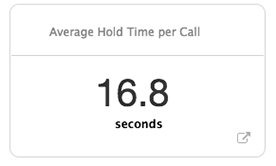 I believe that the average hold time for calls that have been put on hold for a certain duration would be suitable. What would the recipe for a metric like that look like?? You can see that unfortunately we don't store a good amount of data points related specifically to Zendesk Talk. The only metrics and dashboards for talk that you have available to you are within the Talk Reporting Dashboard and a few metrics within Insights. I found out that our goal moving forward is to have these data sets and data sources available on Zendesk Explore which will be our in house analytics program. Zendesk Explore will be able to provide data sets on many products that we are currently unable to report on such as Zendesk Talk, Zendesk Chat & Zendesk Guide. My apologies for the miscommunication here. Though if you ever do have an available data set for that hold time, hopefully I'm the first to know! Is there any way to tie calls back to the tickets from which they were made? Looking at the attributes available under calls, I see a 'call id' but not a 'ticket id'. The calls are clearly logged as comments on the ticket so it seems that the data should be linked. I want to write a report that lists calls by ticket (e.g., ticket id 207: call 12345; call 23409; call 59982). Hi there! Welcome to the Community! I'm not sure if there are any data points in Insights that'll allow you to do this, but I'm going to check with some of our Insights experts to see what I can find out. Stand by! Great question! The Talk Dashboard already includes this data natively. However, if you want to build reports in Insights, the attribute is just Call. So if you put both Ticket id and Call under How, you'll get a basic one to one list. Hope that helps! Let us know if you have any other questions! I just updated the Team plan to Professional to be able to see the Talk Insights. However, my data is blank. 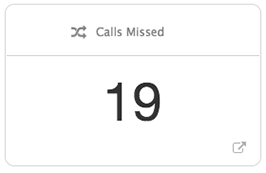 Nothing is populating in the Talk Insights tab. Can I view Talk Insights for previous dates, or only for the dates since I upgraded to Professional? Hi Tamara! Welcome to the Community! Your Talk data will be available from the date you upgraded your plan, but not before. It might take a little time for that data to sync up so that you can see it. 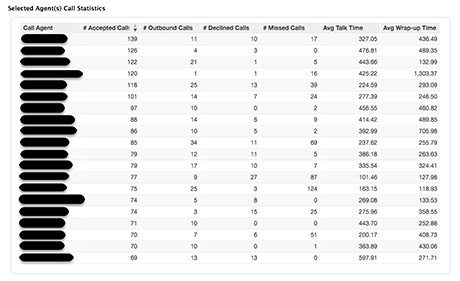 Looking at the above images, the Agent call statistics table includes total outbound calls. Can you provide the API call I would need to pull this data for my reps on an individual basis? We're looking at pulling that data through a third party reporting provider. Thanks! I don't have the exact call for you, but here's the Talk API documentation that should get you the information you're looking for. Is it possible to create an Avg. 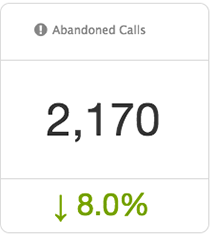 Abandoned Rate and not include calls abandoned within 10 seconds? Thanks! 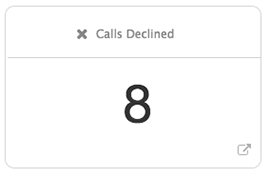 Yes, you can exclude calls based on their duration; however, this would require creating several custom metrics. 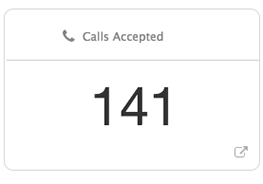 In order to find the time before the call was abandoned, I recommend using a "fact" in Insights, which is a piece of data about the call that we store for reporting. We don't have a fact that encompasses the total duration of the call so I recommend using the "Call Leg Duration" fact. Our article Call Facts and Attributes defines all of the options if you'd like to look into using a different fact for your metric. 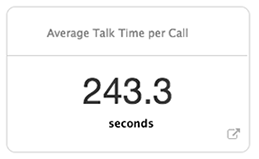 You can create a metric to represent the duration of the customer leg for each call, utilizing the "Call Leg Duration" fact. Then you can incorporate that first metric into a second metric that only includes abandoned calls where the customer leg duration is greater than 10 seconds. 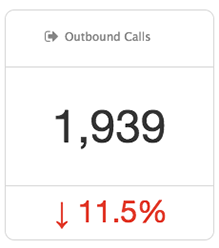 To create a metric that only includes calls where the first metric is greater than 10 seconds, I recommend copying the existing metric "# Calls abandoned" and adding a condition that your new metric needs to be greater than 10 to the end of it. 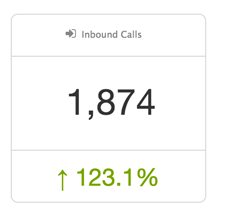 From there, you can find the average abandoned rate by comparing your new metric with existing metrics like "# inbound Calls". I hope that helps! Let us know if you have other questions!